Veterinary Practice Valuation - Australia Wide Valuations. When it comes to Veterinary Practice Valuations, it is important to understand what is being sold.. The seller of a practice is selling what has already occurred, and the buyer is buying a stream of future benefits (income) discounted to its value today. A valuation is based on real information, investigation and analysis. Using established procedures will ensure that the value finally determined is based on a rational methodology, accurate information, and sound judgment. Rent expense when a veterinary practice and practice real estate are owned by the same individual, the accounting for facility costs is often not at fair market values. The adjusted income statement records a rental cost at a fair market rate. Most often the majority of the vehicle expense recorded on the practice income statement is considered discretionary. The adjusted income statement records the vehicle expense at a level consistent with the true needs of the practice. The adjusted operating income measures the return to practice owner(s) after all veterinarians in the practice have been compensated for professional and management responsibilities and other expenses are recorded at fair market value. The adjusted operating income is a measure of true economic return to the owner(s) of practices. Forecast the future economic stream. Calculate the present value of the forecasted economic stream. Comprehension of these three basic steps will allow a potential vendor to enhance the practice value and allow a potential purchaser to assess the purchase opportunity. Preparing a valuation that can be used for a sale or purchase agreement or a Family Law case, requires that the valuer have the correct experience and qualifications. 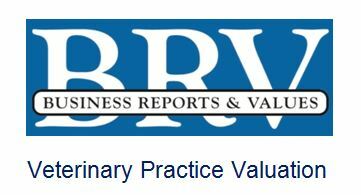 The CEO of BRV Lee Goldstein has over thirty years experience and has ample qualifications to prepare Veterinary Practice Valuations.